I met Jean when cycling the Akatarawa Road to the summit. Jean is 77 years old and a seasoned cycle tourist, and was riding from Upper Hutt to Otaki for the evening and returning the next day, approx 80km each way. 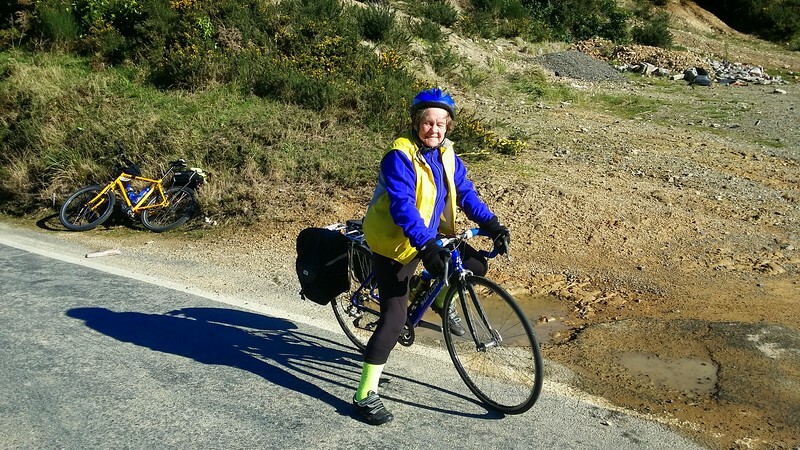 Jean's next cycle trip is from Barcelona to Paris. She has previously cycled the length of the UK (John O'Groats to Lands End), Dubrovnik, Croatia to Manchester, and many other trips in New Zealand, Australia, and I think she mentioned Germany too. I've been terrible at remembering to photograph fellow cyclists - I usually think of it two minutes after we have gone our separate ways , so let's up I've turned the corner. It doesn't look it, but yesterday was the coldest day of the year so far in New Zealand.